These days we are inundated with information about cosmetic surgery which can often be overwhelming and confusing. I am hoping my website will help to simplify matters, showcasing the best and most effective aesthetic solutions available – surgical and non surgical alike. My site is designed as a resource, clearly detailing procedures and their results. If you have any further questions, please do not hesitate to contact one of my team. With a wealth of experience in cosmetic private practice spanning more than 15 years, Angelica has secured her place as one of the UK’s most sought after surgeons. A combination of deep-rooted knowledge and a deft touch has made her the first port of call for women across the capital and beyond. In what tends to be a male-dominated industry, Angelica’s female perspective is worth its weight in gold. As a time hungry and ageing(!) mother of two, she can empathise with the majority of cosmetic concerns and lend first-hand experience to practicing. 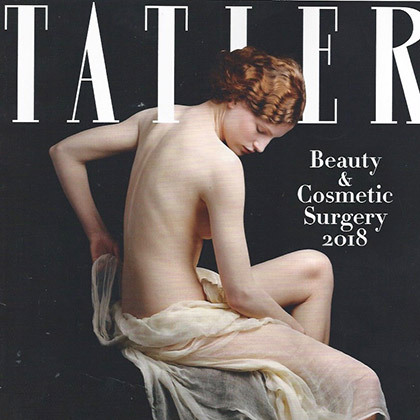 Angelica is also This Morning’s go-to expert, a regular fixture in Tatler’s Beauty & Cosmetic Surgery Guide and was a regular contributor on Channel 4’s award-winning series, Embarrassing Bodies. Championing natural-looking results is at the core of her ethos. Together with her cherry-picked team, Angelica works to tailor the bestsuited anti-ageing solutions for each individual client and guides them through the process from initial consultation to recovery. And her dedication is matched by her skill: Angelica has developed a long list of loyal patients, who feel both safe and comfortable in her capable hands at her Harley Street clinic. Ageing solutions and battling the ageing process has long been a main passion of Angelica’s. Launched in 2015, her medi-spa at 129 Harley St (the 'Kosmesis Skin Clinic') houses the best aesthetic devices that deliver unparalleled anti-ageing solutions and help improve skin’s health. Symmetria’s years of expertise as a successful brand, has prompted them to partner with the prestigious clinic of Dr. Angelica Kavouni in London due to the fact that they share a common ground for offering top-tier services to their loyal clients. International travellers are able to enjoy the same or similar treatments and services offered by both clinics at a very high standard. Created with working women in mind, the demand for Angelica's trademark minimal intervention aesthetic treatments grows Daily. A lifelong advocate for the empowerment of women, Angelica knows how important it is for women to feel confident both socially and in the workplace. 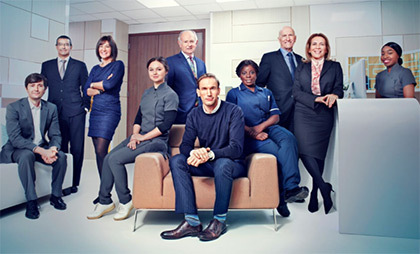 Angelica takes to the small screen as a key member of Dr Christian’s crack team of medical specialists helping those with troubling health problems. Launching March 22nd on SKY 109 ‘W’ channel at 2100 UK time (also Virgin ch 125 and BT 311), Angelica can be seen helping Jasmin reduce the size of her oversized JJ breasts. Rise of the 'Career Lift': Would you have a nip/tuck to keep your job? Caroline has a mane of shiny, dirty blonde hair, great skin, firm cheeks, a gleaming smile, a leather jacket and lean limbs. At first glance, it’s very difficult to place her age. And that’s just how she likes it.